AccuraCast SearchStarz Blog: A Facebook Reader? A meeting with media is expected to be organised for tomorrow to reveal Facebook's new step. First rumors say it could be a new "social" reader. After launching the #hastags just one week ago, Facebook is ready to promote a new service for its users. 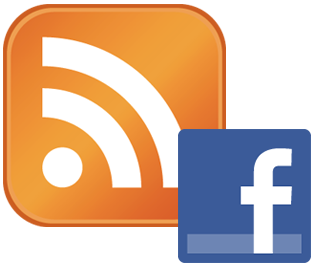 Waiting for the official news, some sources affirm that the new service could be a news and web content aggregator, based on RSS feeds, as alternative to Google reader - which will stop the 1st of July. If this is true, the launch of #hastags on Facebook would make more sense. In fact, Facebook would be able to analyse all topics under the #hastags to define more relevant news for all users. This would make Facebook able to directly compete with Twitter, the social media outlet based on short news and #hastags. Moreover, a second launch seems likely to happen: the possibility for Facebook users to share not only news and pictures (reminder that Facebook bought Instagram App in April 2012) but also short videos (5-10 seconds). This would definitely be a direct competition with Twitter, which launched the short videos app Vine only last January and has already reached and overtaken the number of shares on Instagram. 10 most annoying updates on social media!